SKU: 609813. Category: 2 MODULE RCBOs Ms Type AC tripping characteristic B. 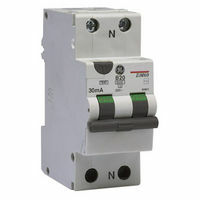 Tags: GE, RCD, RESIDUAL CURRENT DEVICE.